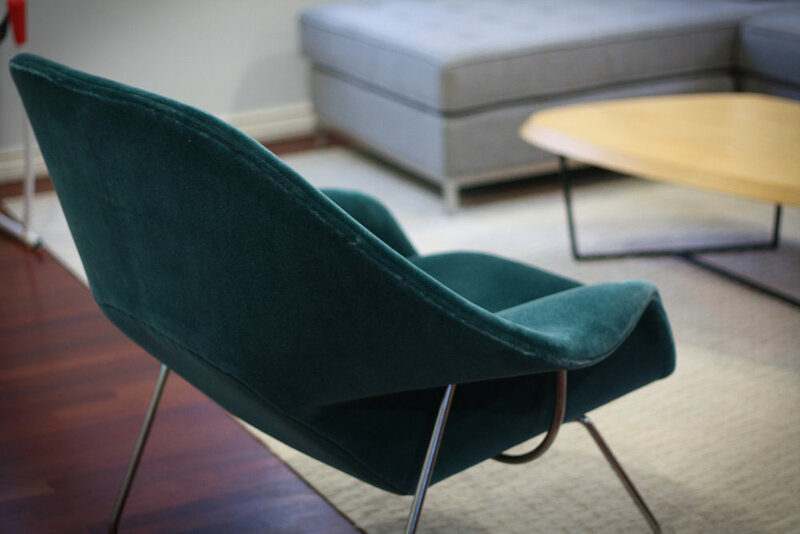 Check out this amazing Womb Chair designed by Eero Saarinen for Knoll. 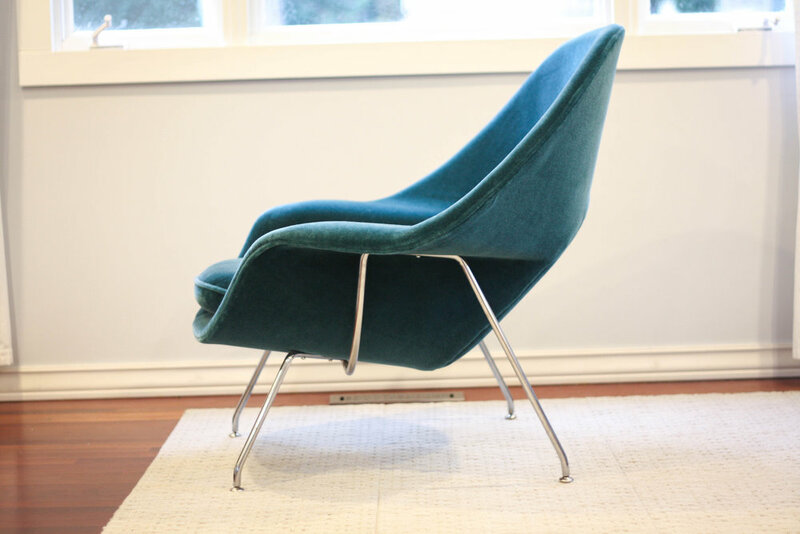 The chair is covered in Knoll Mohair fabric in Teal. The fabric alone runs $159/yard and is one of the most premium fabrics Knoll sells. You can't beat the slight furry feeling this chair has. The womb chair is incredibly comfortable. The fabric very soft and pleasent to the touch. Foam is in excellent shape with no dehydration or crunchiness. This chair is the perfect candidate for hours of lounging so why wouldn't you want to put a soft, kid/pet proof, fabric on it. The chrome shines bright and shows very nicely with no glaring concerns. Very little signs of use. The best you'll find without forking over the $5,000 a new one would cost.